At VMS Group’s test facilities, we run final independent tests on gensets, engines and other related equipment of all makes. 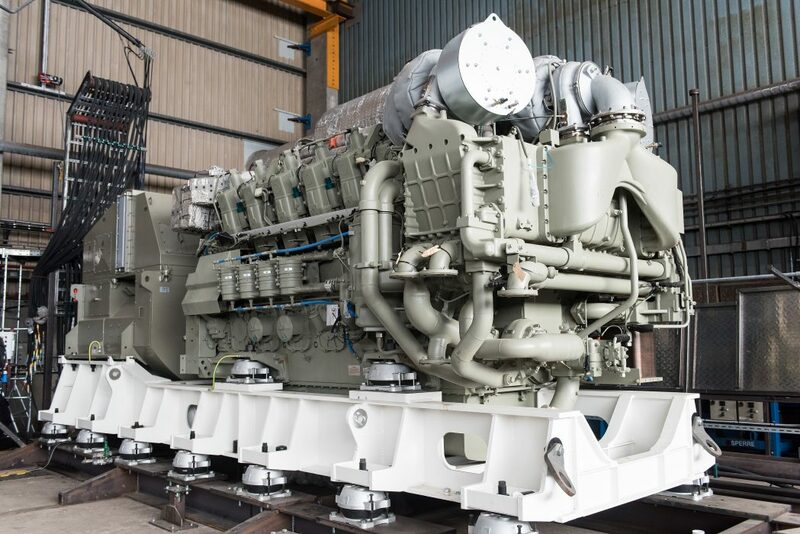 We offer assembly of the gensets according to the customers’ needs, including the design of the foundation frames, technical calculations of vibrations and noise levels and the on-board installation and commissioning of the final gensets. We provide full documentation according to the classification societies including full thermal load test and AVR-test. The 750 m2 building in which the test facilities are placed allow easy access to the harbour, an excellent infrastructure and a crane capacity up to 80 tons. The first gensets of VMS Group’s own design have already been tested in the facilities. Have a look at the video below how you can place a coin on the foundation frame upright without it tipping over – even when the engine is running under heavy load changes.